As this is my first time conducting Tchaikovsky’s monumental work, The Nutcracker, I wanted to do everything that I could to immerse myself in Tchaikovsky’s score, the history of the work, the narrative, as well as gain insight into the characters motivation, and how we bring that to life on the stage. 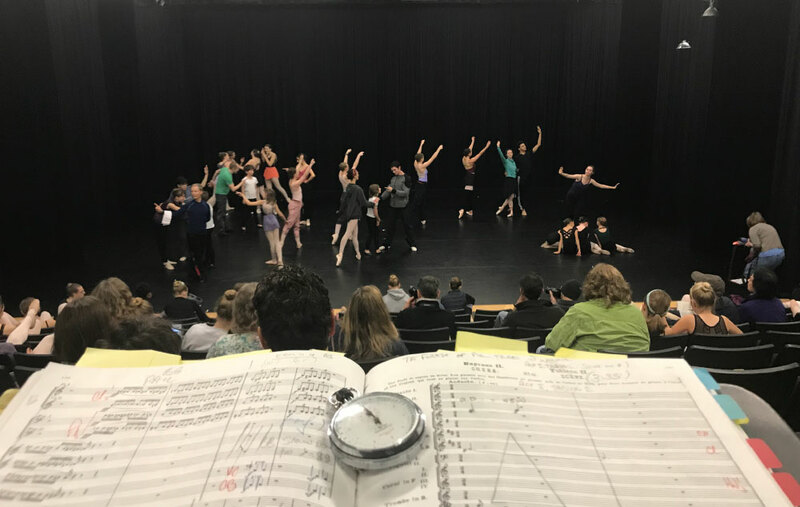 I had the opportunity to attend several rehearsals with our brilliant collaborators, the Boulder Ballet, not only getting to know their preferred tempi, but speaking with the Artistic Director and dancers about the work, observing the choreography, and internalizing the timing of leaps, lifts, and jumps. What fascinates me more than any other part of this project is my growing relationship and fondness for the characters. The story revolves around Clara, the young girl whose dream of becoming a young woman and finding her prince we are witnessing. Like all children (or at least like me), Clara’s childhood takes place in a fantastical world. She loves her parents but dreams of being “Big” (yes, that was meant to be a reference to Tom Hanks’ 1988 movie where gender roles are reversed, and a boy magically transforms into a young man). Once Clara transforms into a young woman, she makes her way into the Land of the Sweets with her prince, and the people thank her by entertaining them with a tour of all of the wonders of the kingdom. It is at this point when, through the magic of the theatre, we stop being an observer of the story, and are ourselves transformed into the honored guest in this fantastical land. Countless other characters fill the ballet with moments that are relatable. There is a wonderfully tender moment between Clara’s parents once their home is vacated by all of their party guests, and the children have been put to bed. Her parents are filled with content at being alone at last in the stillness of their home. Perhaps the character that I relate to the most is Clara’s annoying little brother. Now that I have grown up, seeing him not only reminds me of how I tried, and succeed, at annoying my big sister, but of the trials that my sister had to overcome to realize her dreams of becoming a young woman and finding her prince. Magic envelopes the Christmas season: Snowfall will transform the landscape from one day to the next, Santa makes his list and checks it twice, and yes, visions of Sugar Plums will most certainly dance in our heads. Together with your Longmont Symphony, the Boulder Ballet, and our Comcast/Xfinity sponsors, I look forward to enhancing the magic of the season with our Nutcracker performances on Dec. 2 & 3 and hope to see you there!